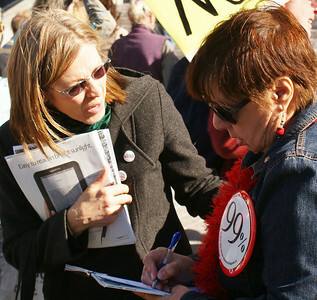 Images of grassroots political activists petitioning, leafletting, registering voters, speaking at rallies, testifying at government hearing. 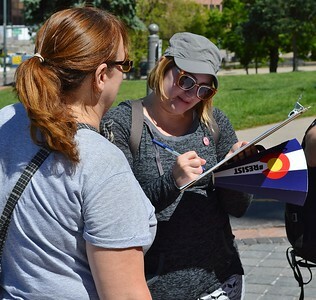 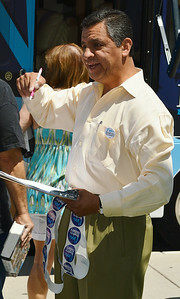 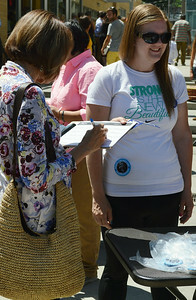 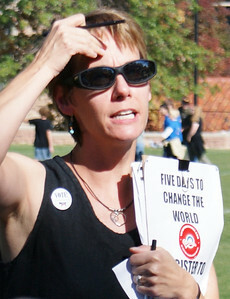 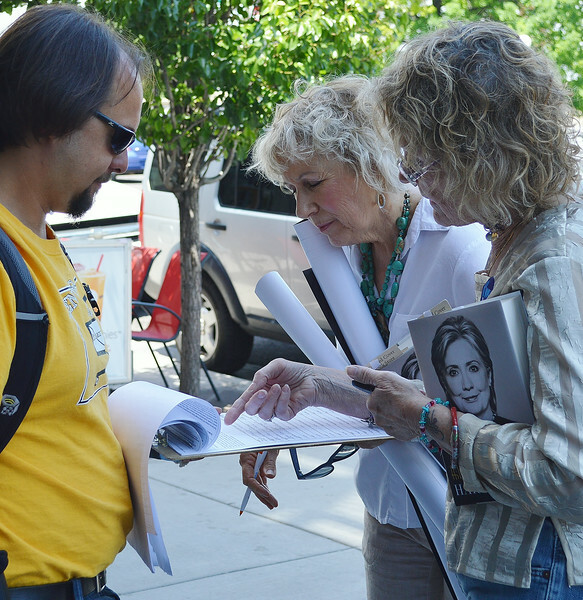 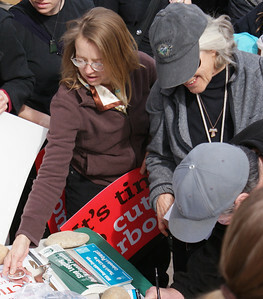 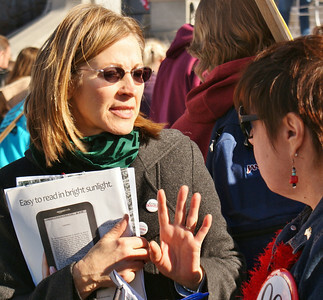 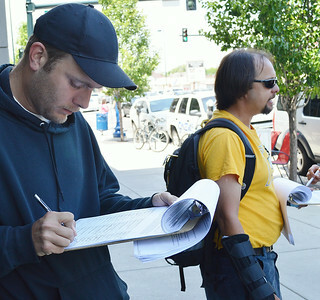 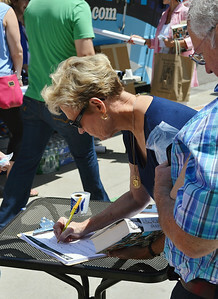 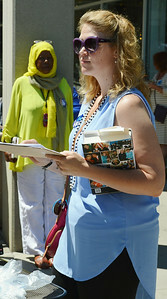 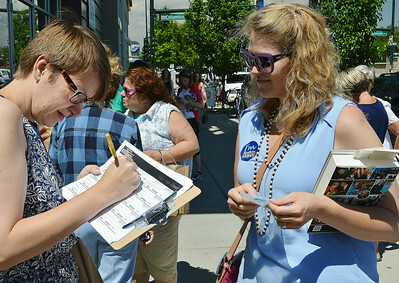 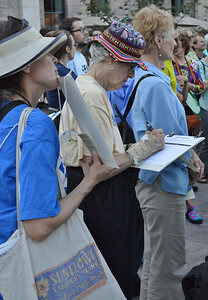 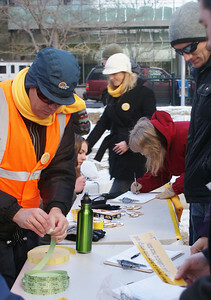 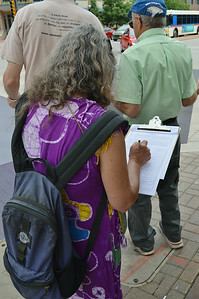 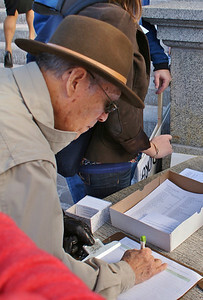 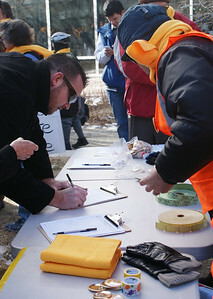 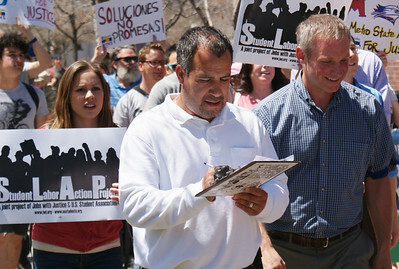 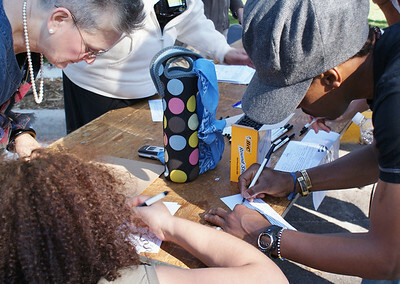 Signing a petition at a rally for health care reform in Denver. 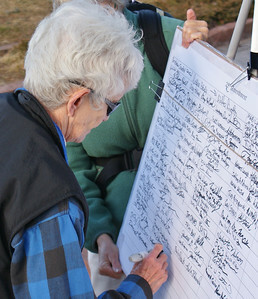 Senior woman wearing brace on hand signing paper on clipboard. 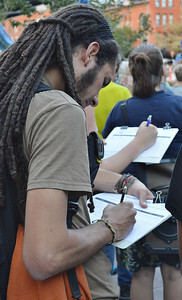 Young man with dreadlocks signing paper on clipboard, other person signing in background. 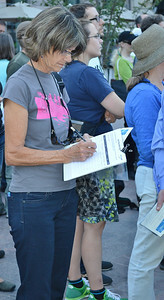 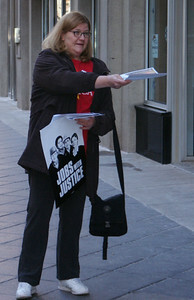 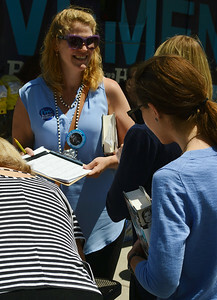 Woman signing petition on clipboard. 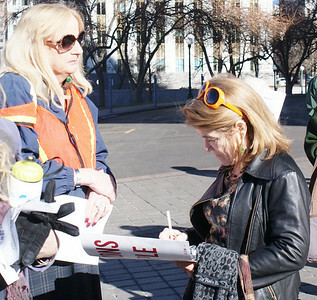 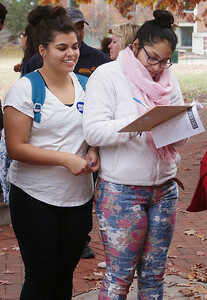 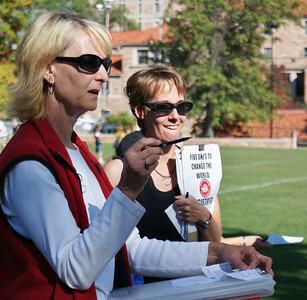 Woman points to petition on clipboard being held by young man, other woman beside her. 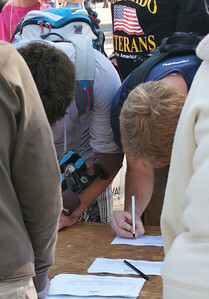 Young man signs petition on clipboard, in background petitioner holds clipboard for person signing. 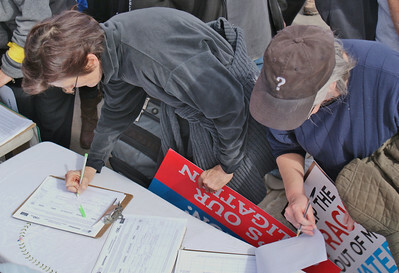 Woman leans over to sign paper on clipboard on table. 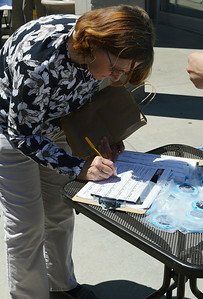 Woman leans over to sign a paper on clipboard on a table. 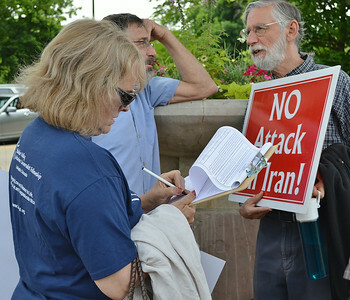 Man holding sign opposing war with Iran, woman in foreground signing prtition. 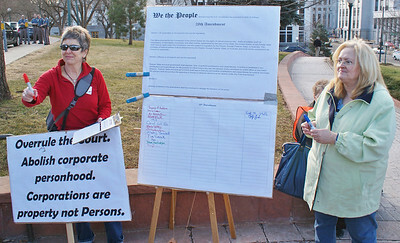 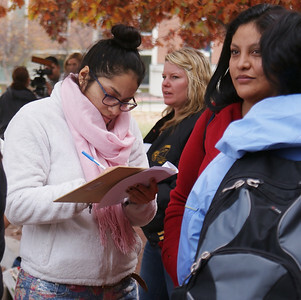 Supporters of the Fair Food Program rallied at Regis University in Denver, then marched to a nearby Wendy's. 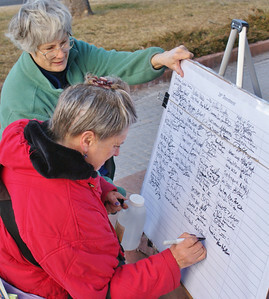 Rooftop solar energy supporters sign petitions against utility company Xcel Energy's metering policies. 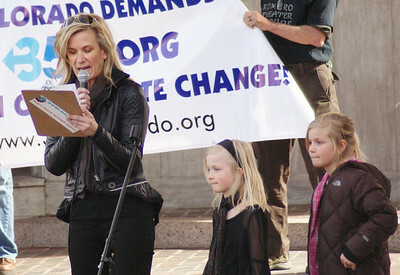 Woman speaking from a podium, testifying at a County Commissioner's meeting about fracking, in front of her one County Commissioner and staff person. 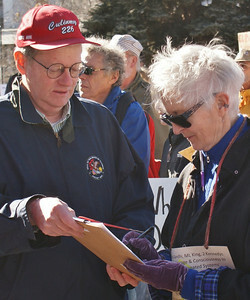 Three Boulder County Commissioners listening to testimony about fracking.